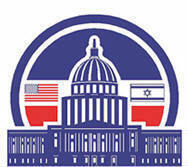 The conference "The Israel Lobby and American Policy" is the latest in a series. Visit previous conference websites with archived speaker bios, transcripts, video and audio below. Topics: Experts will address the following questions: How has the Israel lobby further captured key nodes of U.S. government policymaking? Why is U.S. policy so expensive, destructive and unrepresentative of the will of the American people? How are a handful of politicians now successfully running against previously unquestioned, longstanding Israel lobby platforms? What rules do reporters follow when they tell the truth about U.S. policy and the lobby? Why do U.S. presidents sign secret letters promising not to publicly discuss Israel’s clandestine nuclear weapons program? Why does the U.S. give more foreign aid to Israel than to any other country, and how is the makeup of that aid changing? What, if anything, does the U.S. get out of its so-called “special relationship” with Israel? How are human rights groups working to “de-Israelize” state and local governments? What is the Israel lobby doing to provoke an armed U.S. confrontation with Iran? What else is the lobby doing to improve Israel’s strategic position in the region? Why are assertions that Israel and the U.S. have “shared values” made, and are these assertions accurate? Theme: Expert speakers addressed the Israel lobby’s agenda, whether the U.S. is supporting an apartheid state, how supporting Israeli violations of international law impacts the U.S., the Anti-Semitism Awareness Act, Israel lobby suppression of free speech and academic freedom on campus, how and when Christian evangelicals became Zionists, Israeli societal trends, the Palestinian BDS campaign, the impact of Russian vs Israeli media and electoral influence, the trajectory of the CIA/Mossad relationship and whether the U.S. can be persuaded to attack Iran to advance Israel’s strategic position. Theme: Experts spoke about US foreign aid to Israel, what has changed, legislation against BDS, overcoming the Israel lobby in Congress, a Palestinian perspective on the "peace process," the documentary film "Two Blue Lines," "strategies to push back on Hollywood stereotypes," Israel lobby funding Islamophobia, "fake" peace processing, viewing the Israel-Palestine conflict through the lens of "settler colonialism," and an undercover investigative journalism series on covert Israel/lobby operations in the UK. Theme: Expert panelists and keynote speakers analyzed the enormous impact Israel’s influence has on Congress, establishment media, academia and other major institutions. Theme: This unprecedented gathering focused on the Israel lobby in America. How big is it? How fast has it grown? How interconnected are the organizations and individuals? How much revenue does it raise and where does the money go? What are the common objectives of the lobby? What laws apply to lobbying to benefit a foreign government, and are they vigorously enforced? Do coordinated campaign contributions cause American policymakers to act more on behalf of Israel than the United States? What fallacies underlie the assertions that U.S. and Israeli interests are the same? What are the Israel lobby’s public and private, short-and-medium-term policy objectives? And what can Americans who do not believe pro-Israel slogans, activities and policy objectives do? 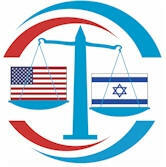 Theme: U.S. financial, military, and diplomatic support for Israel has grown significantly and steadily throughout the past 60 years and now dwarfs annual American foreign assistance to all other nations. Research indicates the U.S.-Israel "special relationship" is a major factor in foreign hostility toward Americans. Some experts suggest that Israel has been central to U.S. wars in the Middle East. However, the huge public backlash against Israel lobby-generated momentum for U.S. attacks on Syria and Iran indicates that Americans are concerned about the direction of U.S. foreign policy, how it is made, and those trying to make it. This historic summit provided an in-depth, multifaceted inquiry into this critical subject matter. Panelists included former military and diplomatic personnel, intelligence officers, scholars, economists, researchers and a variety of other subject-matter experts and authors often shut out of key discussions in public forums and news media outlets.